Music is a glorious part of God’s creation and at Charlotte Christian it is our mission to use music not only to educate for performance, but also as a wonderful expression of praise. Students in grades JK-3 begin by learning the basic foundations of music and as they enter grades 4 and 5, students further develop their music by rotating through the OPUS curriculum, exploring ukulele, chorus and Orff percussion as their fine arts elective in the lower school. 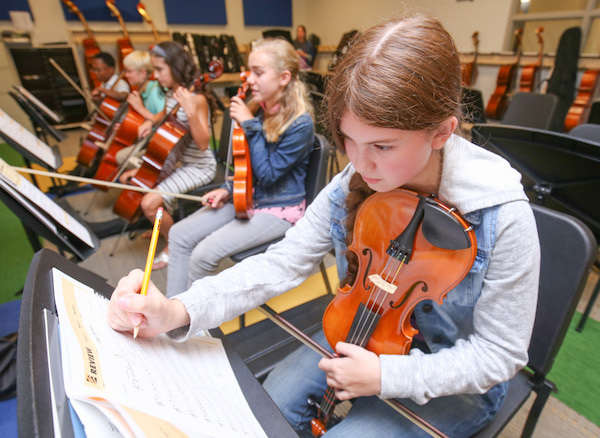 Students continue their study into middle and upper school where they build on their musical skills. In upper school, students may take their study of music to the next level in Introduction to Music Theory or AP Music Theory. Students in middle and upper school may also challenge their creativity on iPads or MacBooks by studying Digital Music.